Tanforan Park Shopping Center Parking Structure | Cary Kopczynski & Company, Inc. The Tanforan Park Shopping Center is a regional shopping mall in the city of San Bruno in the Bay Area. CKC designed a three level parking structure with a cinema above. The project posed several significant design challenges due to the stringent deflection and vibration requirements for the cinema and the major seismic fault adjacent to the project site. CKC met these challenges head on. The structure was designed to accommodate the heavy cinema loads and minimize the transfer of vibration from parking levels to the theatres above. By working closely with the contractor, CKC minimized forming and other cost impacts associated with the complex framing. For seismic design, shear walls were located around the stairs and other vertical shafts. Grade beams carry the shear walls and integrate seismic and vertical load carrying systems. 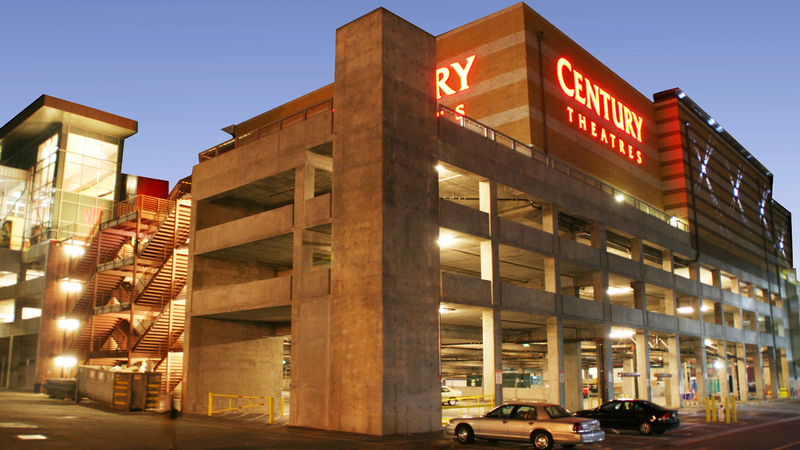 CKC also provided structural design for the two skybridges which connect the parking structure to the mall.